This was just boring and terrible. Oh god. I'm not sure what to expect whenever I see a Dan DiDio-penned story. Not tot throw any shade at the person himself, but maybe he should stick to being a publisher. Or maybe he shouldn't even be… ah, never mind. The beauty of Top Cat, the original cartoon, is the cast of awesome characters and the setting. Literally none of these aspects of the character are present in this issue, so this version of Top Cat could just be any regular old character. It could be Jimmy Olsen for all I care. DiDio tries to explain the cast away by saying that TC landed on earth from a different Earth, which would certainly explain why those characters aren't here. If this is the case, what's the point? TC's personality is also absent. He truly is a stand-in for this story. The biggest takeaway I got from this issue is that Mark Russell may have really had a large impact on comics! There's this underlying social commentary in this issue that reads like a Russell-plotted issue, which it clearly isn't. DiDio is obviously trying to inject that into this story, and it reads as well as you imagine. Shane Davis' art is pretty damn good. 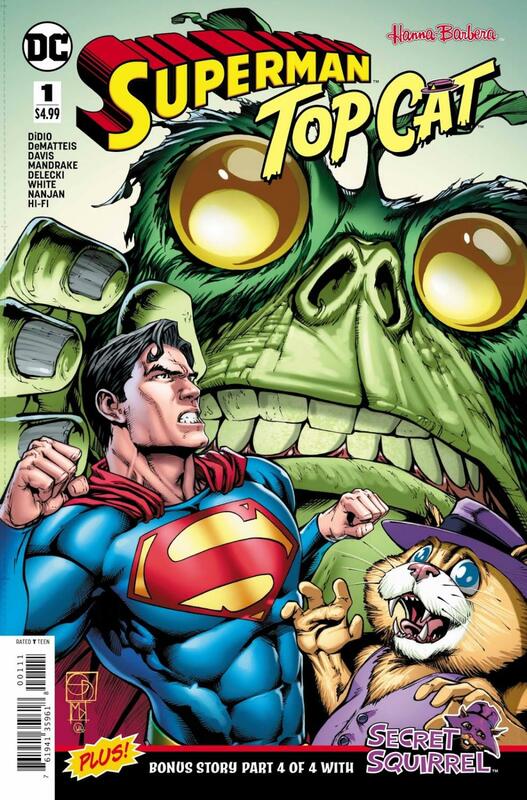 Aside from the monstrosity that is Top Cat, his Superman looks pretty good and I loved the way he drew the Daily Planet building, which may hold the odd honour of being my favourite fictional building. The various colourists all did a good job bringing this story to life as well. Were you ever going to check this out? If not, move along. If so, maybe you should do some re-evaluating.